Take a few simple steps to give the right kind of tomato fertilizer to your plants at the right time during growing season. Over the course of a few months, a tomato grows from a tiny seed into a mature plant putting out dozens of fruit. It’s no wonder tomatoes are heavy feeders. Fertilizing begins before setting plants out in garden and continues until frost. Work compost into the soil before planting. Compost will improve the soil and provide a strong array of nutrients for the new tomato seedlings. Apply tomato fertilizer once fruit has formed. Some gardeners look for their first tomatoes to be golf ball size as a signal to begin the season’s systematic feeding program. 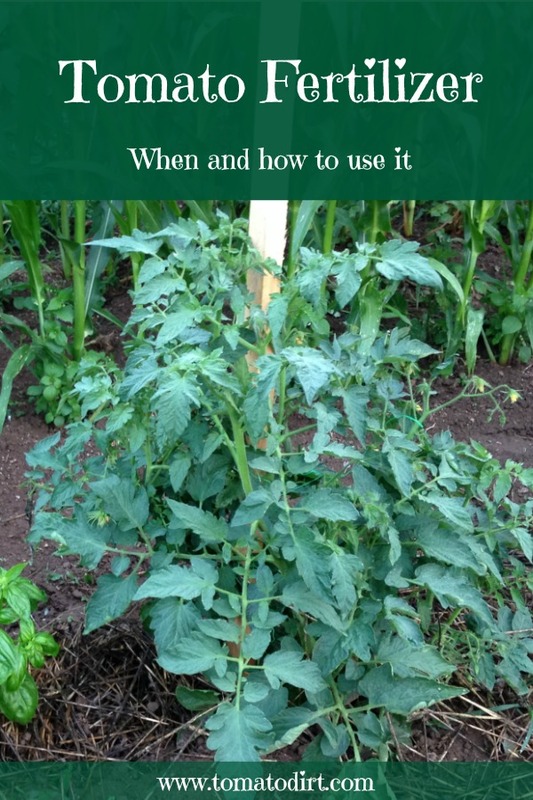 Make sure to use a fertilizer that has the nutrient content that tomatoes need. Continue fertilizing tomatoes about every 3-4 weeks until frost. Tomatoes grown in sandy soil should be fertilized more often because nutrients leach quickly from soil. Tomatoes grown in heavy, clay soils will retain nutrients and can be fertilized on a less-frequent schedule. Sprinkle 2-3 tablespoons fertilizer around the drip line of the plant. Do not allow the fertilizer to touch the plant, or it will burn the leaves and stems. Use a garden hand tool to gently work fertilizer into the soil. Do not penetrate soil too deeply or you will disturb the plant’s root system. Water the tomato plant to allow fertilizer to begin absorption into the soil. Replace the mulch around the base of the plant. 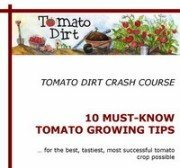 About one pound of granular fertilizer will be enough to side-dress 10 tomato plants. Since tomatoes are heavy feeders, try not to deplete your garden soil by planting them in the same spot each year. Rotate crops instead. Ideally, the garden shouldn’t have tomatoes in the same spot more than once every 4 years.